Pietro Marcello is one of the most promising Italian documentarists of his generation. He started working as assistant director since the early 2000s but he gained acknowledgement in 2009 with his sophomore dramatized documentary La Bocca del Lupo (The Mouth of the Wolf). 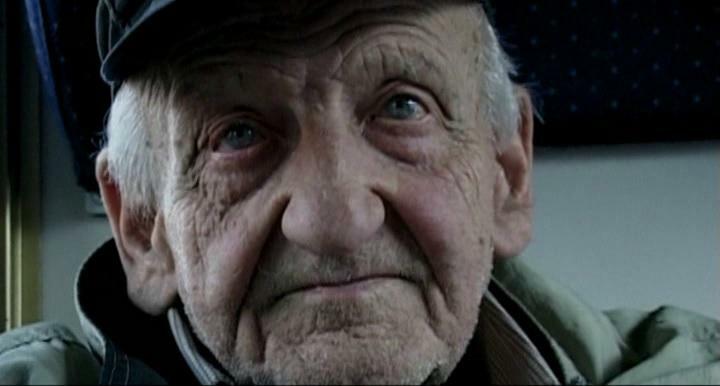 His debut documentary film Il Passaggio della Linea (2007) has been a lesser known work due to the limited international distribution that had when it was released. The inspiration of the title is from a work by the Belgian writer Georges Simeon, Le Passage de la Ligne, and a phrase of it opens the film. Il Passaggio della Linea has participated at the 64th Venice Film Festival, in the section Orizzonti Doc and won a Special Mention, it was also nominated as best documentary at the 2008 David di Donatello awards. Night express trains are passing through the Italian landscape. Familiar faces are the usual passengers of these routes. Their journeys are not simply another way of transportation. Their journeys are parts of their unique lives. 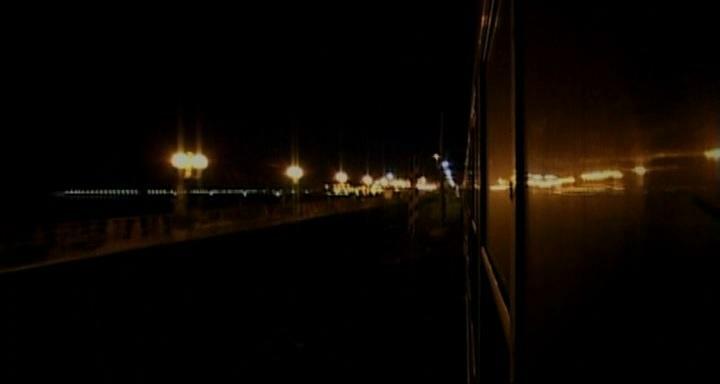 People that have or have not a common past are solemnly connected through the rails of these night trains. Taking the railroad from Bolzano to Rome, from Venice to Lecce, from Naples to Milan or from Palermo to Turin are some of the ways to cut through Italy during the night. 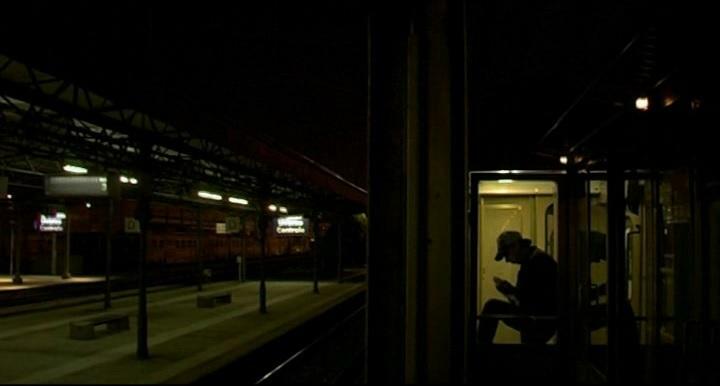 Every passenger has a story to share, a remembrance of his life, a hidden thought, or even a wish for his future. It is always easier to share when you can move fast but you can stay still at the same time. A band wagon could become a place for confessions, discussions, conflicts or just sleep. The movement of the train can always be relaxing. Pietro Marcello decides to abandon any form of linear narration and he prefers to focus, sometimes in a friendly way, on the lives of the travelers. The director doesn’t simply observe them behind the camera, he is talking to them and he is sitting near them, he is just another passenger and more importantly he helps the viewer to become one too. We are all part of this long nightly journey. The beautiful scenery of the coastal Italian route is blended with the obscurity of the night trains. 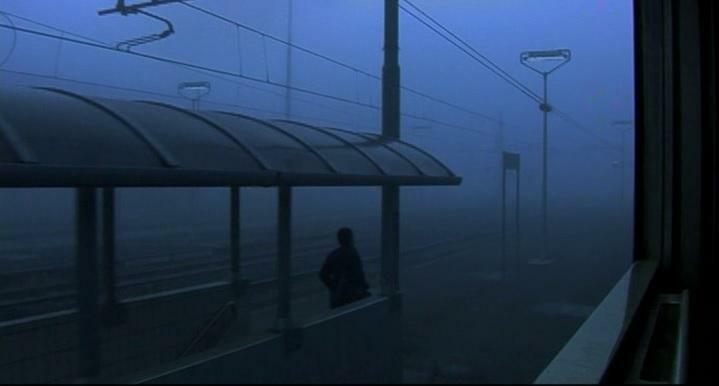 The familiar mechanical “silence” of the train breaks only by vivid discussions. No one is there for leisure and they all look at least troubled. Some of them are the people that should remain hidden and must live and move through the night. In a way these old express trains have become the most democratic way of transportation and hence the most economic. Quoting Springsteen these trains could carry anyone, from saints to sinners, from losers to winners and from workers to criminals. They are part of an obscure society and this voyage is not just another transport. For some this is their only escape and for others the train is their only home. With roughly 300 euros per year you can easily buy out your freedom in dreaming and unlimited traveling. 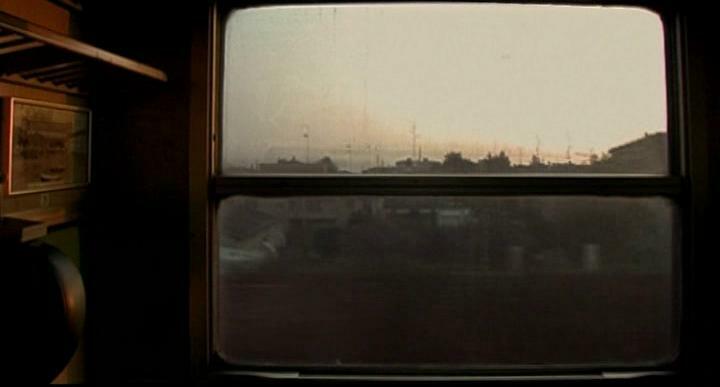 Il Passaggio della Linea is a documentary that cannot be precisely described, especially to someone who hasn’t tried yet the uniqueness of the lonely long train travel. This is a deep emotional experience that could have an unmatched personal impact to anyone individually. Generally it is really hard to capture the strangely congested freedom that a train could offer. Marcello though masters that part in a seemingly simple way. From a pure technical point of view the director just pairs the external long shots with the internal close-ups but it is not that easy. The precision in his direction offers an exemplary vividly realistic approach of a train journey which could literally stimulate all of your senses. Your eyes can be at the same time concentrated to the band wagon’s limited free spaces but also follow the great wide openness that only a train window can offer. You can smell the old train’s odor of the grease and of the bad leather but simultaneously you can breathe the fresh cold breeze from the nearby forest. And of course you can hear and feel the well-known noise of the train’s brakes but also be hypnotized by the repetitive sound of the rails passing while you’re traveling. If someone doesn’t know the director’s relationship and admiration of the Russian cinema then this documentary is an exceptional surprise. The trains have always been an inspiration and obsession for the Russians and Marcello is also following that path. His camera movements and his fragile balance between the poetic nostalgia for the journey and the extremely realistic introspection are details that make this documentary a true revelation. As Giuliano Vivaldi mentioned in his post, on Marcello’s Russian influences, the documentary was selected by Aleksandr Sokurov to be shown to his students in Nalchik as an example of how to treat reality in documentary cinema. Pietro Marcello touches every aspect of Il Passaggio della Linea. He is observing the people that are aboard. He is listening to the monotonous and similar announcement of each train station. He is also feeling lonesome in these trains. It is unique that Marcello makes a truly personal film but also gives to his viewers, to us, the space and the time in order to (re)create our memories. We can also be alone in this hour-long trip across Italy that starts at night and ends, by the sounds of Alfred Schnittke’s Requiem, during the early hours of the morning. The departure and the arrival stations are unknown but after all we don’t need them since we will always remain passengers of our personal night trains. In his debut film, Vahid Jalilvand is looking for humanitarian solidarity in today’s Iranian society through the private realistic stories of two women in need. One of the most important political films not only for Chilean cinema but also for the whole South America directed by Miguel Littín. The camera’s a ballpoint pen, an imbecile; it’s not worth anything if you don’t have anything to say.